I really cut down on the number of books I bought this past year. Most books I read come from the library. The books I did buy are ones my library doesn't have, but I really wanted to read. Above is every single book I've gotten so far this year. Some were gifts. 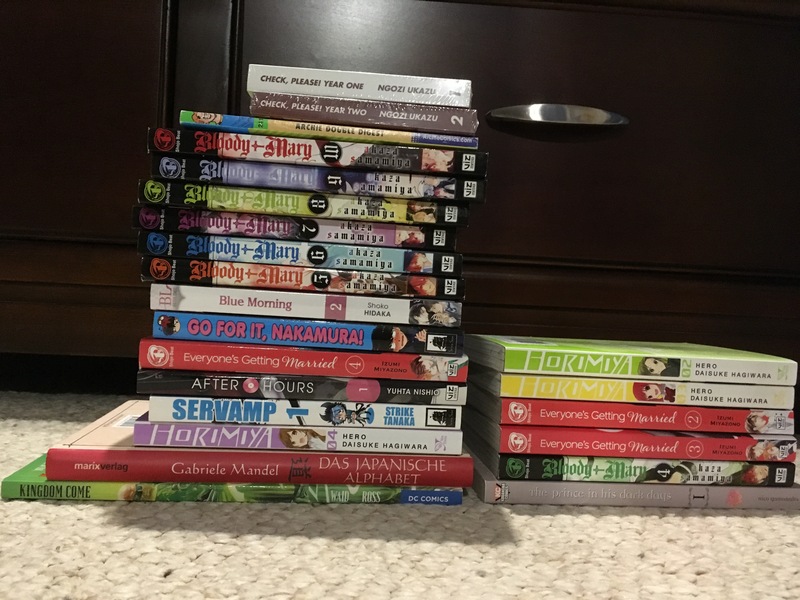 Most are manga. Books on the right I've read already. I still need to read the books in the (much larger) left pile.